Home Technology The Lenovo K8 is to Hit the market in this Year End! The Lenovo K8 is to Hit the market in this Year End! Needless to say, there are innumerable companies and brands which specialize in the selling of mobile phones, notes and tablets, laptops and other digital devices in the market. Moreover, the Chinese brand products have a special customer base in India when it comes to mobile phones and notes. One of these brands is the Lenovo Group Ltd., also known as Lenovo PC international or just Lenovo, which has its headquarters both in Beijing and North Carolina. Now an internationally popular brand, the company was founded in 1984 and now sells its products in over one hundred and sixty countries all over the world. Lenovo is speculated to release its new phone in December 2017 and the following article will delve into its unofficial preliminary specifications. The Lenovo K8 Note will be a successor to the previous year’s Lenovo K6 Note but only with better features and the expected Lenovo K8 Note price in India will be somewhere around 16,990 INR. The buyers who are expecting to buy a mid-priced phone in the next few months can make their wait worthwhile as this phone will provide stiff competition to the Mi phones, yet another Chinese company is trying to make a strong market base in India. Here are some of the specifications that you should go through before deciding on the yet to be released Lenovo K8. These specifications are not officially declared by the company, but the market experts have got reliable information, and on the basis of such information, only the reviews are provided by them. Their review can help the potential buyers to know the model well and decide if it will serve his requirement or not. The Lenovo K8 will possess a screen size of 5.5 inches with a full HD (1080*1920 pixels) screen resolution. The display type being IPS LCD with a pixel density of 401 ppi and capacitive touch screen also enabling multi-touch. The high screen resolution and the big display screen is a treat to the users who prefer big phones and immaculate display. Those who are used to have a standard screen with some quality features, this device will be much useful. The performance of the phone is hugely dependent on the software it uses and therefore is an eminent factor while judging a phone. The Lenovo K8 uses Android v7.1 (Nougat) OS with a Deca Core processor on MediaTek MT6797 chipset with a 4 GB RAM. The RAM thus helps in multi-applications effortlessly without hanging of the phone. Considering the latest version of Android and more RAM, there is no doubt about the performance of the device. Irrespective of standard or casual use, the device can be much helpful to the users. The smartphone without a quality camera is not a smartphone these days. Every user loves to have a better quality camera on his device, and this brand is much known for providing the same. The phone comes with a 16 MP rear camera and an 8MP front camera. The image resolution is as high as 4616 x 3464 pixels, and it has an array of camera features like autofocus, exposure compensation, ISO Control, Continuous shooting, HDR, Digital Zoom, Auto Flash, Face detection, Touch to focus and so on. The phone is also capable of video reco0rding at 1920 x 1080 @ 30fps. Thus, the Lenovo K8 is a photographer friendly phone and can very well replace a digital camera. Those who love to keep capturing images and love to go for shooting videos this is a perfect option in terms of a smartphone. These are one of the very important aspects of smartphones these days. The phone cannot run either out of battery or storage. The Lenovo K8 has a Li-polymer battery with 4500 mAh battery. The device has internal storage of 32 GB and can be expanded up to 128 GB. Thus both its battery life and storage facility is commendable. The memory on this device can help one store ample data including movies and songs as well as other data files. The battery is also known for its long lasting capacity, and hence the user does not need to run in case of battery getting dry. The phone has a double SIM slot and supports 4G, 3G, and 2G SIM cards. Along with that, it has the regular Wi-Fi, Bluetooth, GPS, and USB connectivity options. The phone only supports NANO SIM cards in both the SIM slots. The USB connectivity can help one to exchange and access the data on USB drive which is an easy option for data transfer. 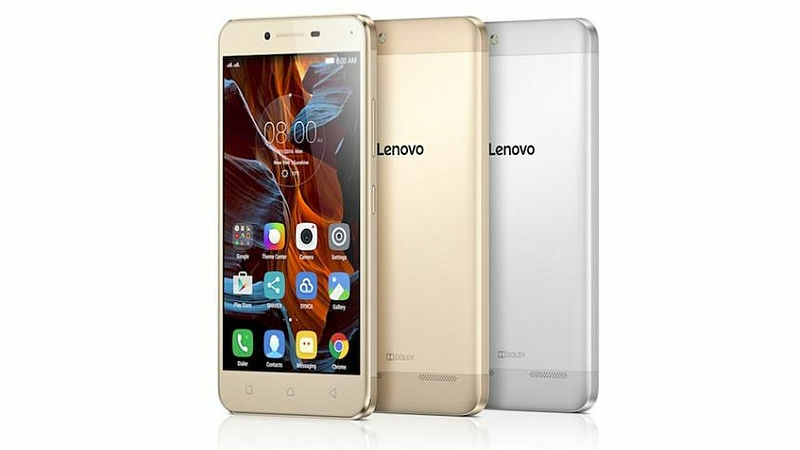 The price of the phone Lenovo K8 is yet not announced since the phone is speculated to release in the month of December of this year. Yet, it is unofficially rumoured that the price of the phone will be somewhere less than 17,000 INR or more specifically 16,990 INR. This makes the device fall into the category of medium price range where there are some more models from different makers available in the market. However, the brand name and features of the device may surely lead the brand on the front row in the competition. The Lenovo K8 most definitely provides a number of commendable features keeping in mind its speculated price. The big display high-resolution screen makes it’s a treat for its users, and if you want to have a good camera phone with a good battery life, then this one is hands down a really good choice. If you are planning to buy a phone in the next few months, then it will be wiser to save up some more to invest your money in this phone. However, the fate of the phone and how far it is successful in fulfilling the demands of the buyers can only be said after its launch date only, and hence, it is too early to decide about the success of the model.